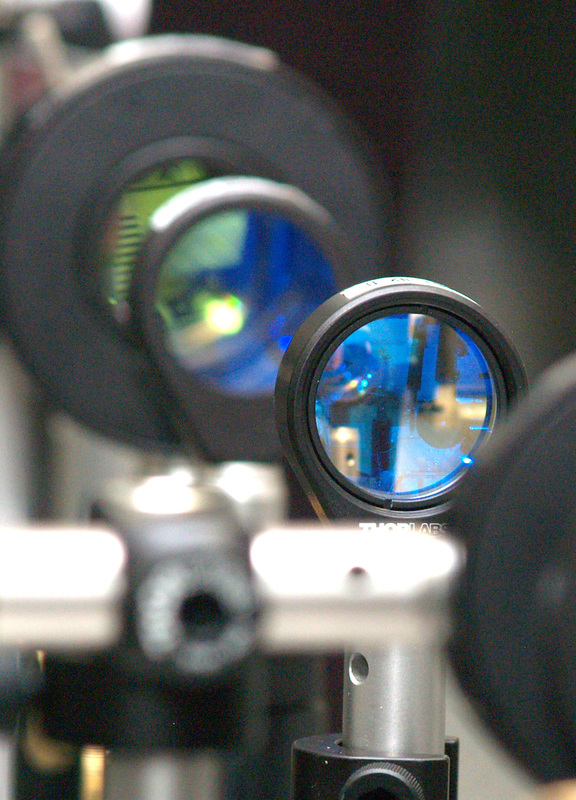 Welcome to the femtosecond laser lab! We are a rather young and hopefully fast emerging group at TU Graz that focuses on the investigation of processes that are induced after light-matter interaction. For more information about our research topics feel free to visit the Research section. For latest tidings and publications, see News, and if you are interested in joining and expanding our team, check out our Open positions. 2019-03-18: Prize awarded for ultrafast spectroscopy. Markus receives the Josef Krainer Würdigungspreis for his work on ultrafast phytodynamics in helium nanodroplets. We are delighted, that our first results regarding ultrafast studies in helium nanodroplets (HeN) have now gone online in Nature Comunications (open access). The results describe the ultrafast processes that are triggered py single-atom photoexcitation of indium inside the droplets. 2018-06-08: New article online in Phys. Rev. A. Our latest publication "Analysis of femtosecond pump-probe photoelectron-photoion coincidence measurements applying Bayesian probability theory" is now online in Physical Review A.